This is the first in a series of reports on initiatives funded through the budget of The Episcopal Church in its grants to Mission Enterprise Zones. The Episcopal Development Agency of Thomasville is a new initiative in the Diocese of Georgia combining three Episcopal Churches in common mission. The community development work is all the more important as the three congregations came about through painful divisions. Good Shepherd was founded in 1894 after African Americans no longer felt welcome to worship at St. Thomas. Then in 1981, Episcopalians concerned about the ordination of women and prayer book revisions founded All Saints, which is a 1928 Prayer Book Parish. These divisions within the church occured in a town that experienced its own racial and socio-economic divisions. In recent years, members of All Saints, Good Shepherd, and St. Thomas Churches had increasingly come together and in 2013 they combined their efforts through founding EDAT to address the needs of the impoverished and primarily African-American neighborhood which surrounds Good Shepherd. Members of the parishes and the community are working together to help the residents develop a plan to help themselves-a plan that will initially allow them to address neighborhood hunger, and later, empower them to address many of the other issues that are facing their inner-city community. 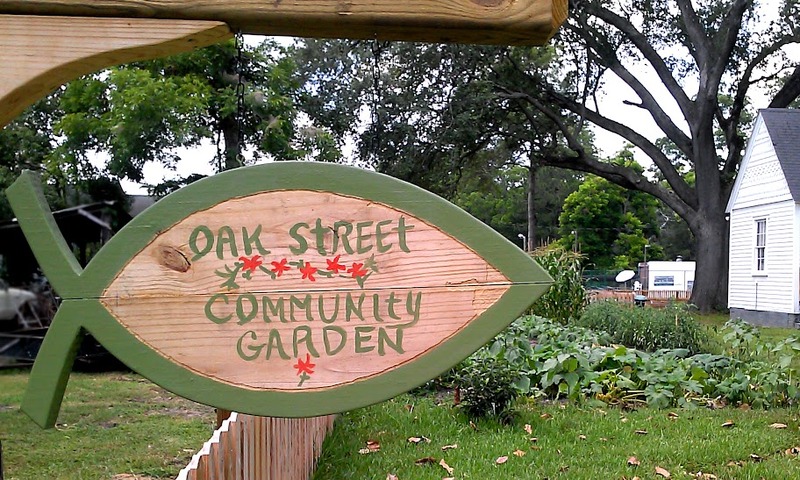 The Oak Street Community Garden became one of EDAT’s first initiatives. This garden gained funding through a United Thank Offering Grant which helped in hiring a Garden Supervisor. In 2014, the Garden fed more than 40 families while educating the community on gardening practices. EDAT’s other initiative currently underway is the Enrichment Program developed in collaboration with the Thomasville Community Resource Center (TCRC). This Enrichment Program began with a summer camp and continues with an after school program also held on the Good Shepherd grounds. The program, which currently has 40 children, is open to those ages 6 through 12 four days a week. The curriculum, which includes academic enrichment in math, science, and reading, volunteer work in EDAT’s community garden, and exposure to the arts, serves children from a variety of Thomasville neighborhoods and socioeconomic backgrounds. In 2014, a Mission Enterprise Zone Grant assisted EDAT in hiring Keith Jenkins as its first Executve Director. Jenkins is a Thomasville native with a degree in social work who has family living in the community near Good Shepherd. Since coming on board, he completed a door to door needs assessment, interviewing the community about how EDAT can assist them in developing their neighborhood. The grants from UTO and the Mission Enterprise Zone have been more than matched by sustained local giving to the development agency. The EDAT Board, comprised of equal representation from the three founding congregations, is working from the needs assessment to continue its work in partnering with community members on development work. Future plans include job training. A video report on the work of EDAT uses interviews with many of the partners to tell the story of this community development agency.